Kids! 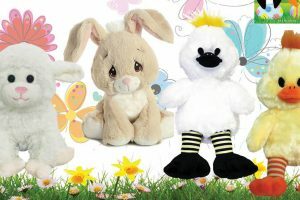 Listen to a story at the library, stuff a related stuffed animal, name your new friend and take it home. Parents, please sign up to reserve your child’s spot for this workshop on Wednesday, April 17, 2019, from 2 – 3 PM. 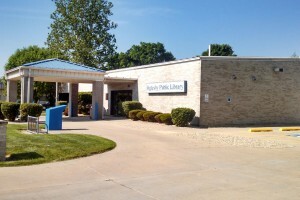 The library’s number is 815-883-3619. Seats are limited, please sign up! This week is National Library Week (April 7-13), celebrating the contributions of libraries and librarians and promoting library use and support. Tuesday, April 9, is National Library Workers Day; we will have snacks available all day to honor our library staff. Also from ALA, if you post photos, videos, or text on social media highlighting what you love about your library during National Library Week (April 8 – 13) using the hashtag #MyLibraryMyStory on Twitter or Instagram or on the I Love Libraries Facebook page, you will have a chance to win big: one randomly selected participant will receive a $100 VISA gift card. The promotion begins Sunday, April 7 at noon CT and ends Saturday, April 13 at noon CT. The Oglesby Public Library District Board of Trustees had four candidates running for 3 open seats. According to the LaSalle County consolidated election Unofficial Election Results, Mary Jane Hansen received 966 votes, Dorothy Debosik received 849 votes, Wanda Lent received 710 votes, and Becky Clinard received 428 votes. Congratulations to Mary Jane Hansen, Dorothy Debosik, and Wanda Lent.